This is the third of three CD's called "FANTASY WORLD OF JAPANESE PICTURES". This is Part 3. Part 1 & Part 2 are also on this site. All three volumes were released on October 22, 2014 and contain tracks from various movies also on this site. This volume contains tracks from "Latitude Zero", "Atragon", "Frankenstein Conquers The World", "Sanda vs. Gaira" ("War Of The Gargantuas") and "Kessen! 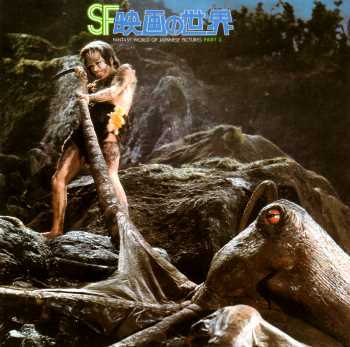 Nankai no daikaijû" ("Yog, Monster From Space") . If you don't have the full soundtracks to any of these movies then this is a worthwhile sampler.